Our good friends at Warm Audio have ventured into new territory. The WA-87 is their own rendition of the Neumann U87, one of the workhorses in the industry. Instead of costing you an arm and a leg, this $599.00 microphone claims to be every bit of the classic as its predecessors. Hopefully we will get our hands on one soon. 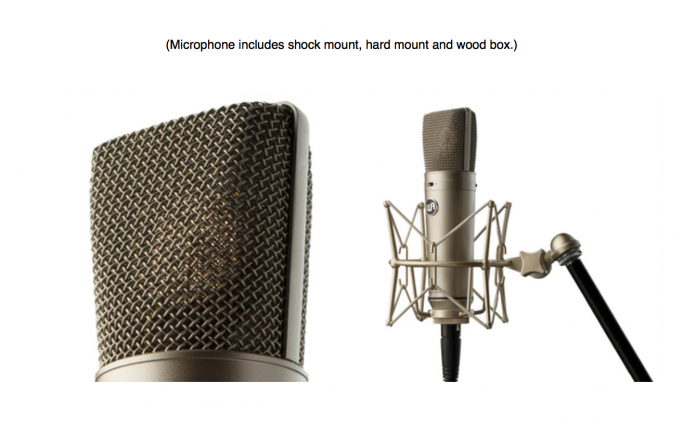 The classic ‘87 is arguably the most widely-used large diaphragm condenser microphone in pop recording history. Rather than base our WA-87 circuit on current incarnations of this mic, we decided to closely follow the early circuit designs that date back nearly half a century. As is true with many classic microphones, engineers who have worked with different versions of these microphones often prefer the warmer, more forgiving nature of the earlier commercially available models. The desire to re-introduce the warm tone of this classic mic at an affordable price to an all new generation of recording artists was the inspiration behind the WA-87.